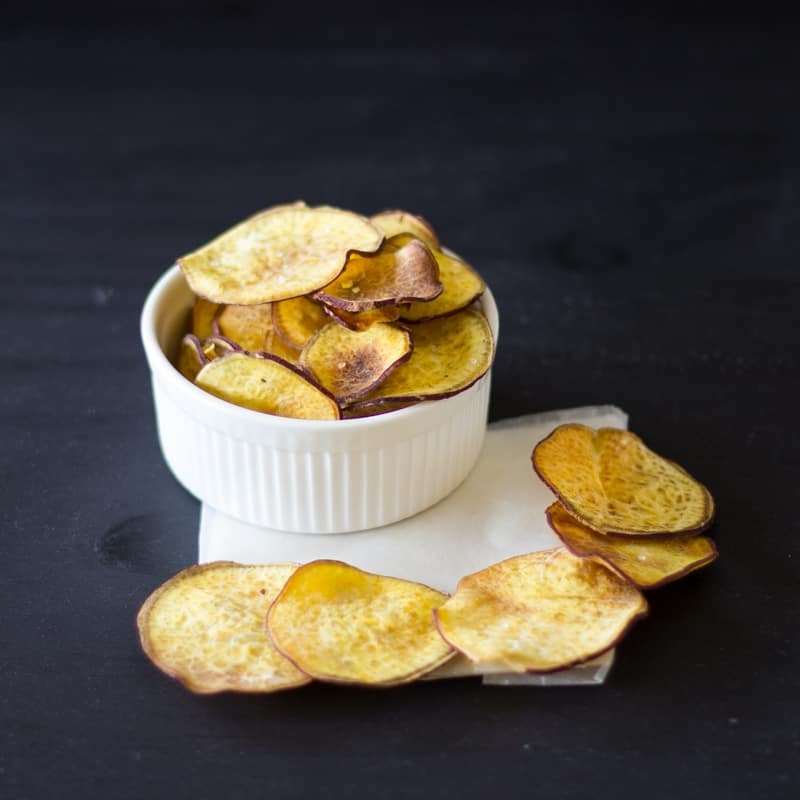 Homemade Baked Sweet Potato Chips topped with sea salt make the perfect snack for your summer get-togethers! Crisp, addictive, easy and much healthier than store-bought chips! I am so happy to say that I am back. Before I say anything else, I want to thank every for the outpour of well wishes for both my exams and for my broken foot. Seriously, you all are amazing whether you said something here or on my Instagram page. After what seemed like a lifetime, but in truth was only a month, I have officially completed my last set of law school examinations ever. After 5 very long years, I will be called to the bar later on this year to become a lawyer. It’s a bit surreal but it’s something that is pretty exciting and that I am looking forward to. I must say, I am so very impressed with people who have to endure what I have been enduring for the past almost month for their entire life. For me it’s not even the crutches, or the pain (which has been a huge part of several complications) but the lack of independence! I am such a fighter when it comes to getting help, and it does seem as if God is telling me – Jessica, you kind of HAVE to ask for help – stop being so stubborn! I mean, I am someone who makes every meal by herself and when you can’t hold anything in your hand, it’s almost near impossible, or you’re so exhausted by the time you’re finished that you really just want to sleep. TRUE. Story. As such, Mr. Jessiker Bakes has been nothing short of the best person ever with helping me with everyyyything. My family especially my mom has been endlessly helpful also in ensuring I still get real food and I don’t survive off of ordered food. Although, we all need a bit of pizza every now and then (just saying). This is where the point of this post comes in (if you’re still here – you’re SO awesome). During studying for exams I needed snacks that were in quick reach since going to the kitchen and creating something each time was not an option. These baked sweet potato chips are IT. Let me tell you, you will eat these babies up so quickly, that you will be making more very soon. Making these chips is such a simple process – slice them through your mandolin (HAVE I BEEN LIVING UNDER A ROCK?!) and within a few minutes you have your chips. Line them on a sheet drizzled with some olive oil, and sprinkle with sea salt. Bake. BAM. Done. The sea salt is the kicker on top of these sweet chips. It adds a delicious contrast and texture to the chips that I honestly think is necessary for an over the top snack. P.S. if you’re studying, or just a super snacker, these homemade cinnamon apple chips I made a while back do the same job and are equally addictive. Did I mention that these were healthy? Yes, you should make these today. Ah! I am so glad to be back. If you like these chips, you may also enjoy these Warm Cinnamon Apple Chips. 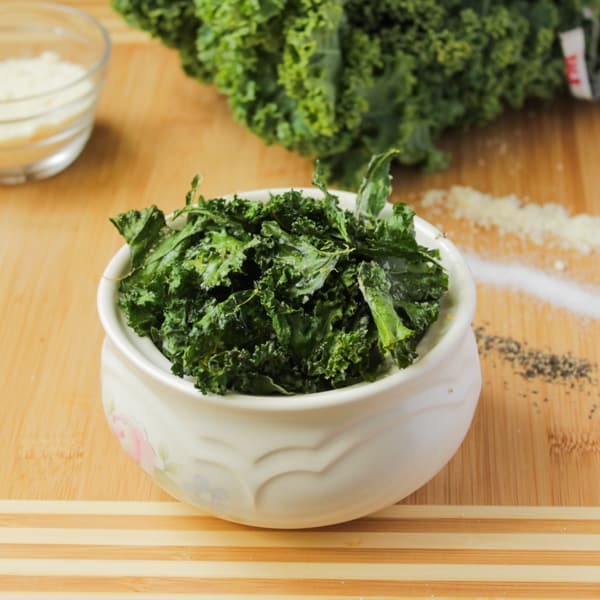 Or these Kale Chips, Three Different Ways! 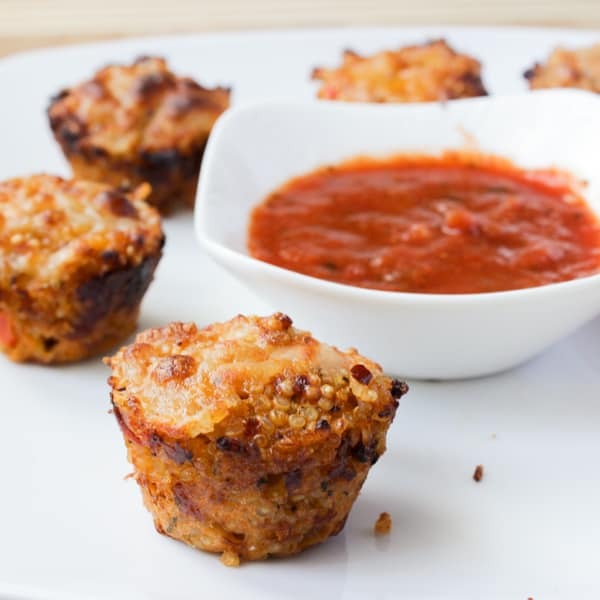 Go ahead and check out all my snack recipes! Slice the sweet potato through your mandolin until you have made circular chips out of the entire potato. 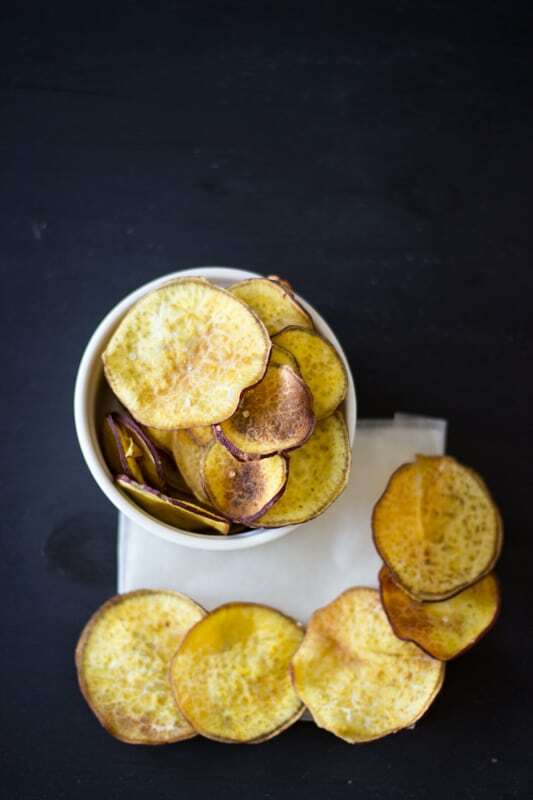 In a bowl, toss raw sweet potato chips with 1/2 tablespoon olive oil until coated. Coat a baking sheet with olive oil. 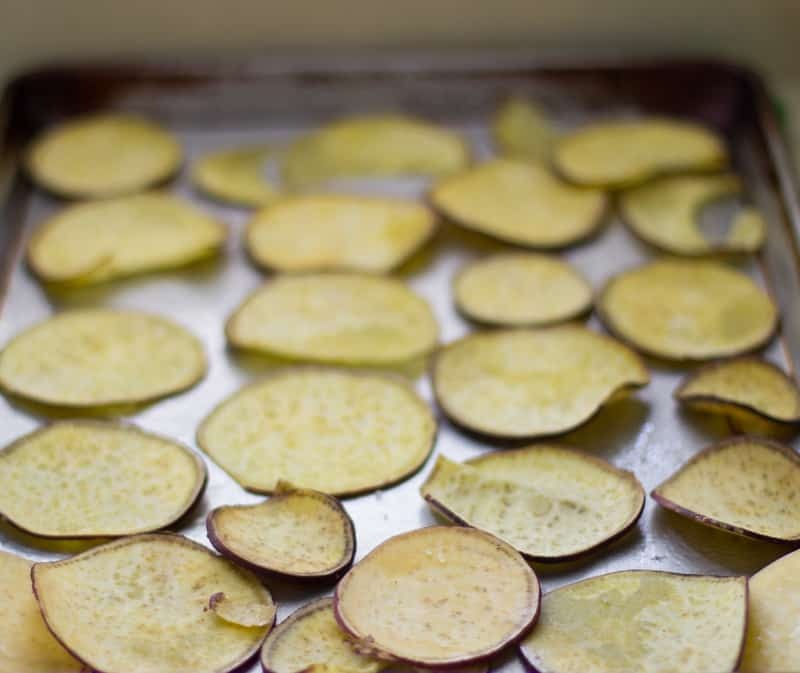 Place raw chips on the baking sheet and sprinkle with sea salt. Bake for 20 to 25 minutes (watch them after the 20 minute mark) until chips are crisp and cooked through. Sprinkle more sea salt on top as soon as you remove them from the oven. Serve immediately and enjoy. Yay! I’m so glad to hear you are back. Congratulations with being done with exams!! Great job!! I’m sorry about the leg, I hope you get well soon!! Wooohhoooo!!! 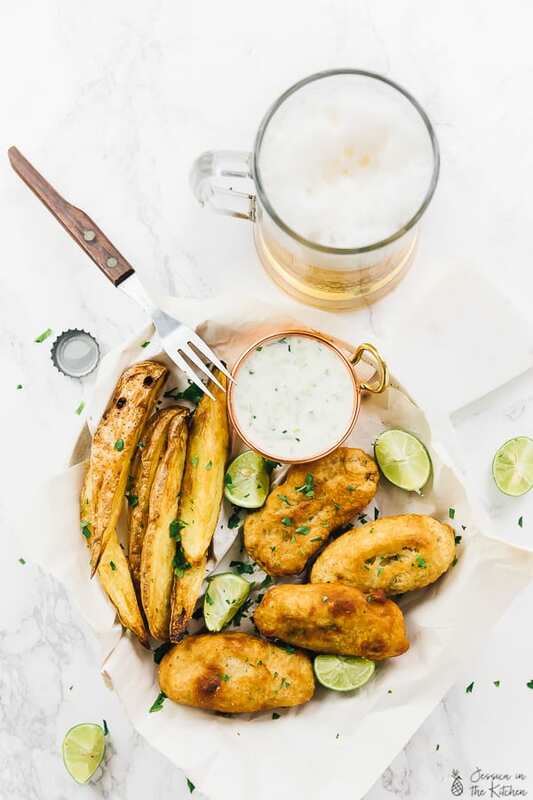 You’re back and with a great and delicious recipe of one of my fave snacks. Can’t wait to rustle these up! They look so evenly thin and crisp! So glad to hear that you are feeling better! Sounds like quite the month! And these chips look fantastic – so nice and crispy – perfect for snacking! These chips are rocking my world!! Welcome back!! It sounds like you’ve had QUITE the month, but I’m glad to hear your exams are over (woohoo!) and things are looking up! These chips look amazing – the perfect snack! So good to have you back, Jessica! Sending you virtual hugs and well-wishes for your foot! On a different subject, I am in love with these sweet potato chips! And umm, they look totally healthy so it’s totally ok that I have like 10 handfuls of them right? 😉 Pinned! Simply stunning photos, so simple, but I love the contrast of the black with the light colored chips! A month…? My goodness Very glad you are back, Jessica. Happy that you are making it with your broken foot and all those exams. And happy that you posted for us these beautiful chips!!! Why have I not tried this! I eat sweet potatoes pretty much every day and I have a mandolin! : ) Thanks, Jessica…and so glad you are better and your exams are done. Yay! Thanks Monica! And yes you need to try it! Welcome back, Jessica! Congrats on completing your exams! That is so unbelievably exciting, and I’m sure you are just in pure relief mode! I love these chips as a healthy snack. I don’t think people realize how simple it can be to make your own, and how much better they are for you! Yum! Thinking of you as your foot recovers! Thank you so much Justine! You’re right, they are so easy to make and SO much better! 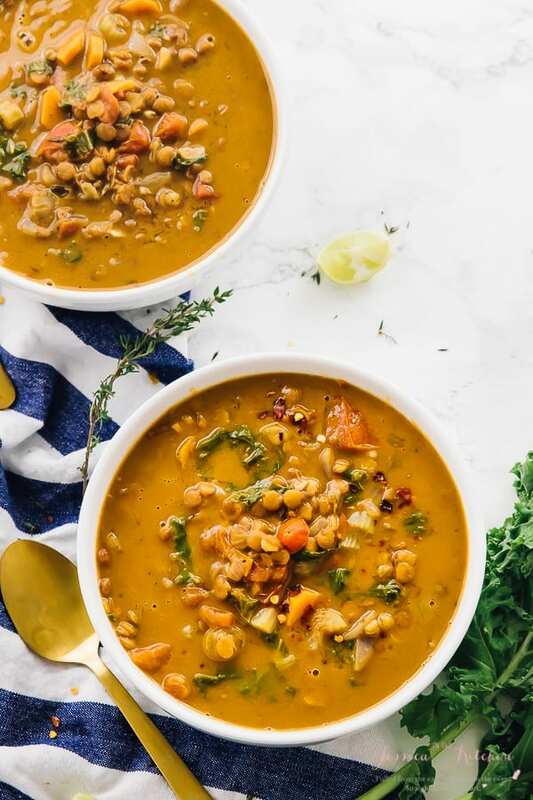 Instead of a 10 ingredient list it’s a 2 ingredient list, and you know exactly what everything is! I commented on your last post before reading this one, so all my questions have been answered. Congratulations Jessica!!! What a huge accomplishment to finally finish law school! Seriously, when I finished, I couldn’t freaking wait to leave school and never go back. I was in my 9th year of post-secondary by that point and I was DONE. I’m so excited for you. I’ve never broken anything so I can’t even begin to imagine what it’s like with your broken foot. You’ve been a total champ and yes, thankfully you’re surrounded by wonderful people who are giving you a much needed hand. 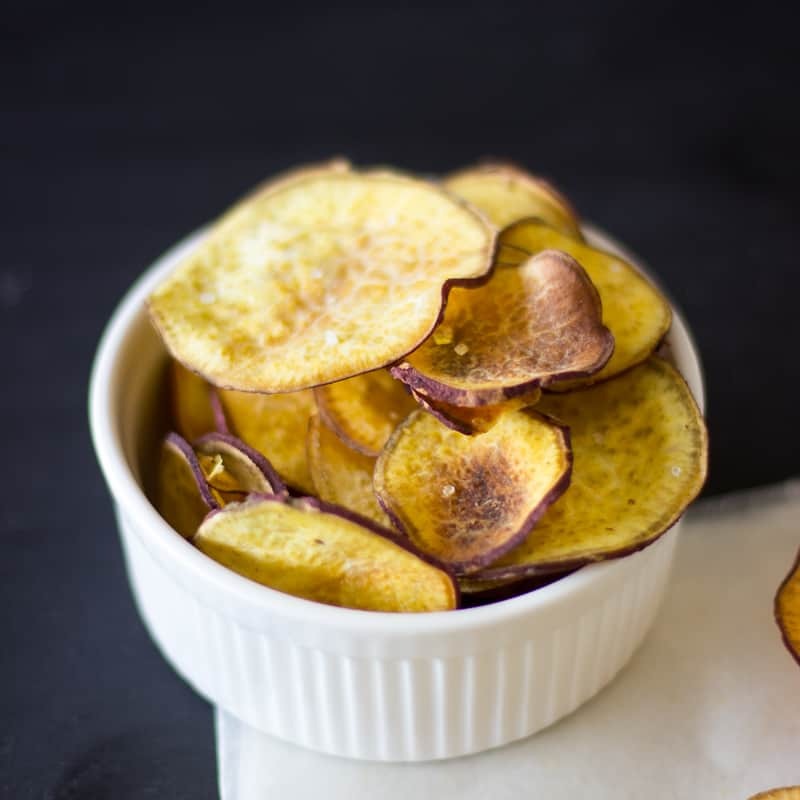 Tell them to get into the kitchen and make more of these incredible baked chips 😉 I really need to buy a mandolin so that I can make these myself. They look amazing! Haha, that’s fine. Thank you!!! YES I am in that never ever going back thought process. I will pass on your message to the Mr. 😀 . Aww thank you for your comment Ala! I’m so glad you love the chips and that I got to meet you too!! Your blog is awesome. That must feel amazing to come to the end of something so momentous after five whole years. Congatulations and, of course, welcome back! And what a comeback with these sweet potato chips. Got to get one of those mandolins! Thanks so much Helen! You need to try these! I’m so sorry about your foot! That’s all sort of sucky. 🙁 But these chips look AMAZING! Pinned! Love these sweet potato chips, Jessica! I did see on instagram that you have a broken foot; hope it heals soon! And congratulations on finishing five years of school and becoming a lawyer! That’s seriously impressive. Good luck with everything! I am so glad you’re back, Jessica!! 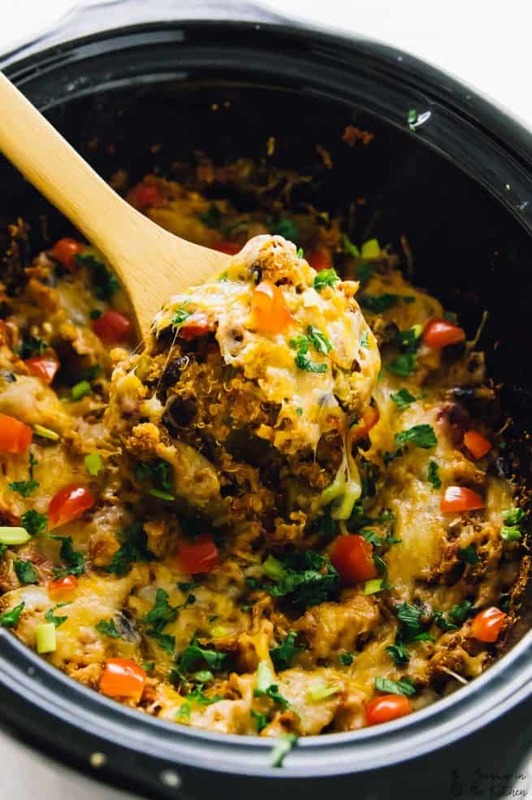 Especially with a killer recipe like this one. 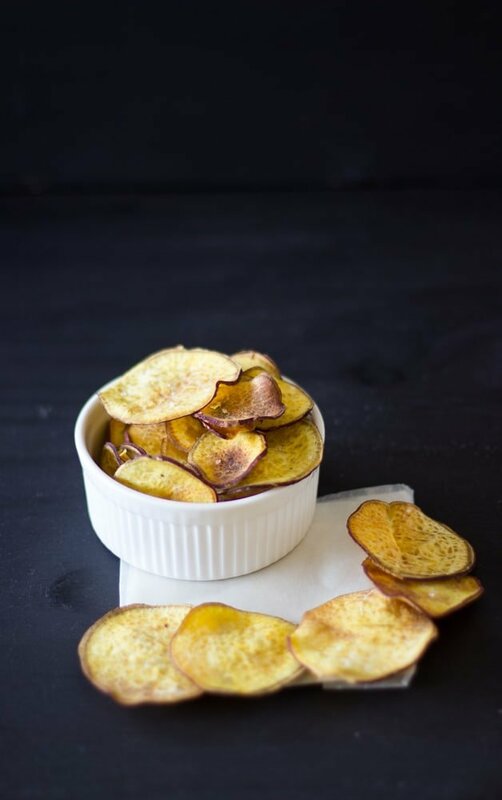 I love sweet potato chips and can’t wait to make them myself! Jesscia, I’m so glad you are back and feeling better (and that you had such a wonderful support crew to help you). These chips look amazing. I don’t use our mandolin nearly as much as I should and this recipe will have me rummaging around to find it! Congratulations and I’m glad you are back 😀 I’ve never had a broken anything, but do think the lack of independence would be the worst. I need to pull out my mandolin and get to making some of these chips! They look delicious! Aww thanks Cindy 🙂 !! Now I understand why you said I wouldn;t like this post! My mandoline and I have parted ways but that just means I’ll have to bum some chips off you! Welcome back and congrats on finishing your exams and embarking on a new journey. Love these chips and need to try them. Congrats Jessica for taking your exam!!! That is so exciting!! So sorry about your foot, I hope it heals fast! Welcome back and congratulations on making it through such a stressful time in one piece! And thank you for these chips. 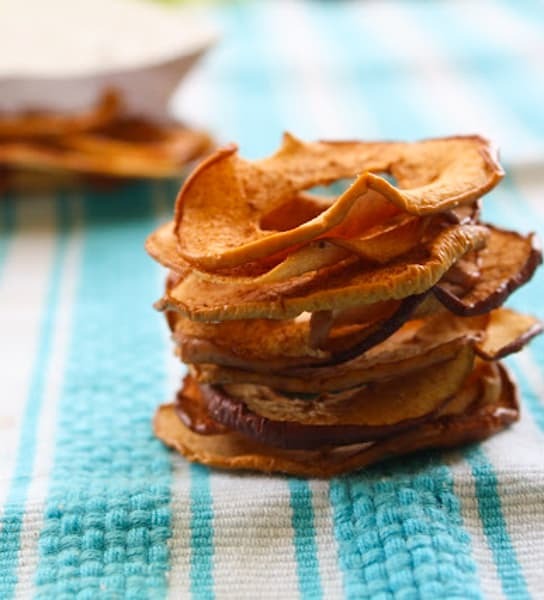 I have been looking for a DIY sweet potato chip recipe for awhile, and these are just perfect! Thanks Nora! I hope you try them and enjoy them! Hi Jess, can this be had with your roasted garlic white bean dip? Yes I think this would taste great with it! Hope you enjoy!